IT'S CHRIIIISSSSTTMAAAASSSSS!! & don't I know it! I've been so busy and stressed out with the babies and getting sorted for Christmas this month that I've just completely neglected my blog. I'm gutted as I had so many exciting Christmassy posts in my head and I just never got round to writing them. Nevermind ey! I'm hoping to get myself more organised after the festivities have calmed down and get back into the swing of things and also get back into the social media side of blogging. I really wanted to get my nails done properly by my local nail technician who does the most amazing nail art for Christmas this year, but I left it too late to book in and she became fully booked, so I thought I'd get onto Pinterest and get some ideas and attempt to do my own (if I have any time). 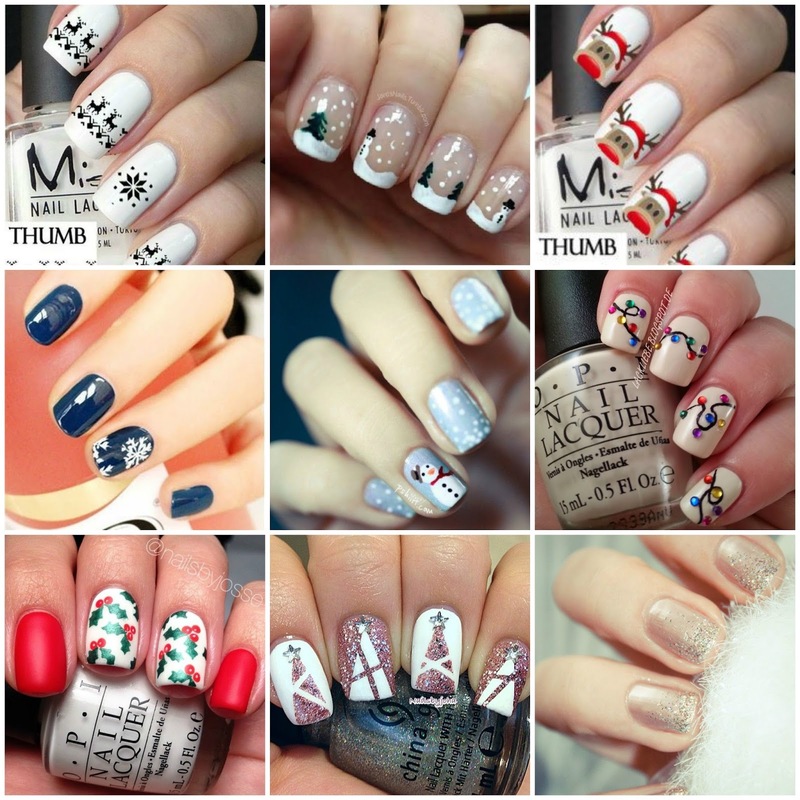 What are your favourite Christmas nail art designs?